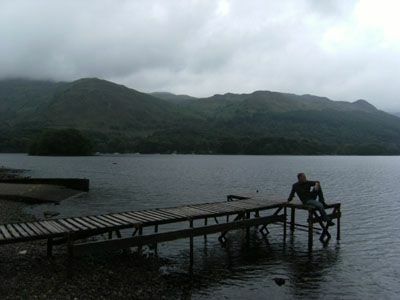 In the summer of 2010, on a scottish lake when I planned this blog. The most important part of my drawings or sketches you can see, were made many years ago, some fifteen, twenty, or more years others. Today by now I consider that work pleased at last, but against my past opinion that I had, when I was worried in a college to get a style. Now when I upload in this blog some current work, this becomes a big challenge for me, sometimes with the thought ‘I won’t overcome my own old work’. In the summer of 2011, drawing the main bridge of Avignon in France. Some time after the start of this blog, really when I take again my work, I’m glad with my recent pieces, with no worry about styles but recovered that old and personal perplexity in front of a whole universe containing infinite kind of shapes. I have kept that attitude by the road, that true viewpoint. I kept it from the beginning. Therefore and now, it is not important to get an style, only I’m worried to set my way, all the fascinating chaos of lines, of stains, of lights, of shades and blank spaces, on a paper. On a universe ! I value these logographic and Chinese symbols from Han, —the antique Chinese dynasty— and that are used in the modern Japanese writing system. Its strokes reveal the emotions and feelings of the authors with no swindle. 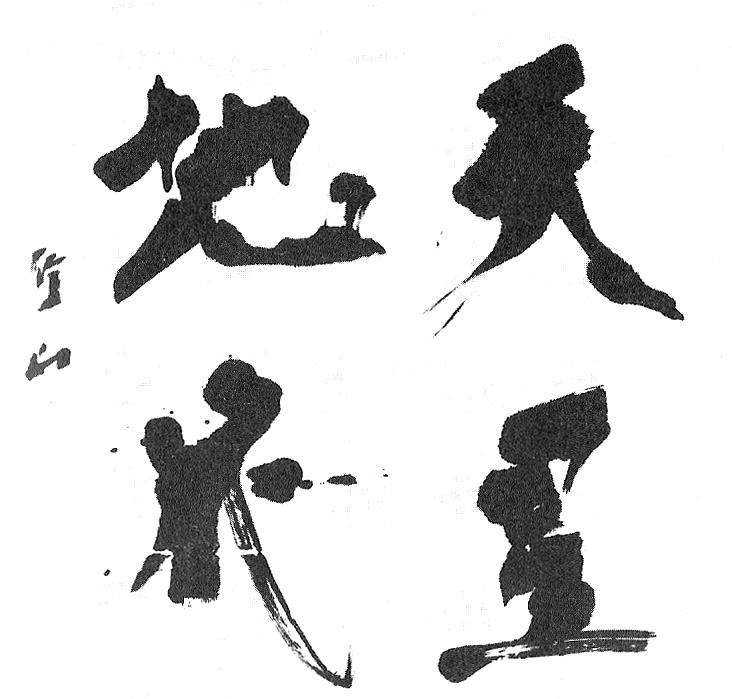 Likewise these ideograms, with its no figurative construction, and deprived of colour, allow the writer modify and arrange the vigor, of his brush (fude in Japanese), as well as the measure of ink, resulting more or less brightness or darkness, likewise the rhythm of this sort of calligraphy. Long time ago, I went to an exhibition and I kept the catalogue. Above and below they are five samples. Some shots of me in the last eighties. The second picture down, is a Picasso. I am researching something similar to this, and I would love a jumping off point. I could donate or pay you. I am not sure if the person who posted the picture of the Picasso reads this but any help would be wonderful. Hi Christopher, in this blog are collected artworks under the ‘Sketch concept’, but not necessarily they all must be drawings. If you mean the image of Picasso titled “Woman styling” (posted on December 19, 2011) might well be a monotype, a technique included in the engraving environment, which allows only a reproduction, it is obtained by a layout that may be with a paintbrush on a support and then by contact friction against the paper reverse, it transfers an image. Sorry I have no more data of this piece, but thank you very much for your question. I hope you keep visiting the blog. Congratulations and thanks for this wonderful blog! You have pulled together a remarkable collections of sketches, which are both a joy to watch and an inspiration to amateur artists like myself. Many of them I never saw before, and it gives an idea of the extent of your culture in drawings, and your passion for them. The mixture of your own sketches, which are very good, free and expressive, with the masters’ ones is an excellent idea. I particularly enjoy your watercolour about the breaking waves on rocks (Wave bursting). But I also like the freedom and spontaneity of your people’s pictures. 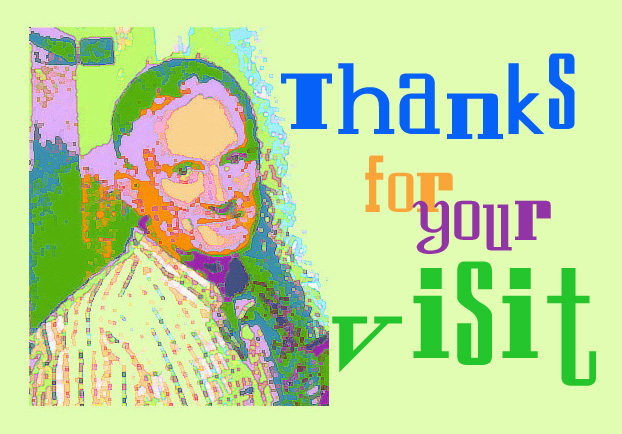 You are welcome to visiy my blog, which is one of a drawing/watercolour lover, though modest non-professional draughtsman. Hello Will, I have visited your ‘Artblog’, and I think it is wonderful that there are still artists like you, able to tackle any subject. In my opinion there are too many professionals but only a few who works with sincerity, without gimmicks and without showy techniques, however they reveal his personal and unique perception, that each of us has. For example I think Van Gogh was one of these. I’m very proud to have obtained your attention and recognition. My intention has always been to display the diversity of the world of drawing for anyone who sees the blog, for any one who could feel encouragement to draw even for the first time. You have had the sensitivity to capture all that. I’ve marked your blog as favorite, congratulations and thank you for your visits. (I like a lot, the shadows and lines of the dog body of your post ‘Regard’- 2008, 28, october). Thank you very much. Really this blog belongs to you, because you are who you give reason for preparing the posts each week. Your message encourages me to keep working. Thank you so much for following me at Lemon’s Tree. Your site is interesting and I shall return for more art discussion. I shall be delighted to keep in touch with you, it will be a citric pleasure. Very nice collection of sketches. Love the one about Rouault couple. Do you have more information? Do you know where I can get a print? Dear Eric, apologies for the delay to your question. Sketchuniverse don’t treats with commercial pictures or prints, only is for enjoy with the pleasure of the infinite ways to sketch through the times. Surely you’ll get some more information online and this blog is proud for your visit and comment. Thanks a lot and have nice day. Hello Adela, please excuse my delay. I only can tell that your words are among the best I could receive. Thanks a million. I love your vision of the shapes, lights, lines and the passion you put into everything! I don’t know how to explain my joy. 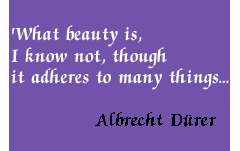 You should be glad too, because your pieces of Art have the third dimension too. Anyone can touch what you successfully made. … and also thanks to you, because before I didn’t know nothing about ‘Bloomin Buckets’ sculpture. Incredible! It is full of fantasy! I’m glad you like it. It was one of my favourite sculptures from NZ Sculpture OnShore last year, and I was so pleased that it sold. It’s wonderful when artists are rewarded for their vision and talent. I’m hoping that the buyer will put it on public display so more people can enjoy it. Cheers, Su. What a lovely idea for a blog. I look forward to browsing through — so much to look at. Thanks for stopping by my blog as well. Mistral, I’m sorry for my delay. I will treat your smile like a gold pip. I’m sorry for my delay, but really it’s a pleasure when someone is sharing the vision of a piece of art although here isn’t not an art gallery. Thanks for your words and for sharing your gaze. XO. Happy weekend Beth! You are a true artist…..So sensitivity!!!! That is set you apart from others! Wow, what a great blog. It is really interesting to see all the sketches you have collected, it’s so important to look and learn from them, I’m looking forward to following! Thats great to hear and Im always glad to come across blogs like yours 🙂 Really great work and thoughtful posts. I’m sorry, my belated message, but sincere. I’ve have been so hours offline. I’m so glad that our sites are interchanging our affinities. Excuse my poor english. Good evening! yes, I am used to delays due to time zone differences! Thanks for coming back to visit, and have a nice day too! Hi Vinaykumar and thanks for stopping by. Have a nice day and greetings. Amazing collection of works here. Thank you, and you are right about the foxes, unfortunately. I am planning on visiting the fox man again in September. Oh Carmen, thanks so much, for stopping by, and also for your wise comment. I’m glad you like it. Have a nice weekend and best wishes! You have a great collection of sketches on your blog, and I need to have a browse around at some point. It was interesting to know how your blog came to life. I’m looking forward to following you and finding out a lot more about your sketching. Thank you for allowing us to understand and enjoy your artistic journey! As a Chinese from Taiwan; the Han-writing is our character, so it’s still wildly used among Chinese until today. China, after the culture revolution, has simplified the traditional characters, which is a shame I think. Oh Vivienne, you’re welcome, I’m pleased because I like all of this, for me there is not effort. On other matter, I suppose that the Cultural Revolution believed necessary to simplify the alphabet to be more useful, I admire the progress to be a first economical power from a feudalist system. Its population as it happens in India does the rules so rigid, there is not other solutions or miracles. I think the western society is not enough respectful with your ancient culture. China should it be to us as a grandfather or grandmother instead of an economical rival. But if we talk about art, you are so right, there is a loss. Thanks a lot for your kind comment. Oh wow this is by far the most creative blog i’ve come across yet, and your sketches and drawings…tan hermosa!! All the very best with this blog. Thank you for “liking” my recent blog post, “Rooted”, which gave me the opportunity to visit your page. You have such a beautiful body of work — it has been a pleasure to visit! I, too, have been drawing since childhood, but I have not reached your level of skill. I will continue to work, with pen and pencil, word and form. Thank you! You have made many paintings, the style I like a lot, but I want to watch them slowly, calmly. Do not hurry. Thank you very much for your future visits and for your kind comment. Good night of full moon. Le tue parole sono carezze per il cuore. Grazie. Grazie della visita e per le tue parole, per i complimenti all’immagine del maestro Jmonzani. Le nuvolette erano molto carine… però bisognerà che io cambi testata in quanto ho appena letto che il maestro non gradisce vengano “copiate” le sue immagini da altre parti, nemmeno utilizzando i credits. Cmq. grazie molte e spero che anche la prossima copertina potrà incontrare il tuo gusto artistico. Nei miei post sul blog dedicato al tema degli angeli da una parte e la questione del cielo, dall’altro è possibile copiare quello che vuoi e fai da te con Photoshop o qualsiasi altro editor. Chiamami se hai bisogno di aiuto. This is such an artistic blog ! It is very inspiring ! You’re incredibly talented. I love seeing your artwork. I find people who can draw, sketch, or paint to be very inspiring individuals. Oh Melisa, I’m so grateful and pleased but the 50 % of beauty is in the gaze of the observer. Thanks so much for your visits and comment. Giant kisses. You are too kind! You shared with me a link, but, unfortunately, i could not open it! Thanks for taking the time to check out my website and I appreciate the follow. Let me know if I can be of help to you in any way, especially in prayer. Keep sketching and inspiring everyone with your beautiful creations. More power to you! You, too Sir! Have a happy holiday, too! really compliments for your drawings so emotional so pretty!!!! Thanks a million. After I saw your blog your opinion is so important to me. cool works 🙂 really enjoyed it. This is such a wonderful, heartfelt blog. You have a wonderful philosophy on creating, and I am thankful to be a part of a sketching community! 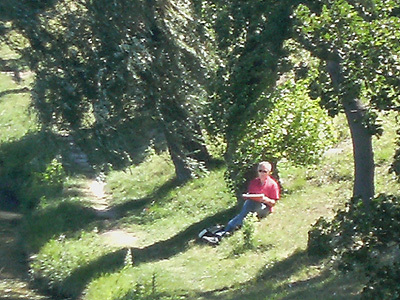 I especially appreciate your photo of you working on a self-portrait. These intimidate the heck out of me, but I am so encouraged by seeing the portraits of others. In my mind, the fact that something is created by the one-of-a-kind, unique hand of an individual makes it so very special! No self-portrait will be the same and I just love that. Thanks so much for maintaining a community here. I look forward to following along. Dear Anita, your blog is really assorted, interesting and funny. Congrats for your wonderful site! Guten Abend, ich freue mich sehr dass ich deinen wunderbaren und interessanten Blog gefunden hab..oder das auch du mich gefunden hast…Danke! Thanks for liking and following my little blog. You’re welcome. The merit is yours. I’m pleased. We seem to share a lot of interests, so I will be revisiting your site too. Vielen Dank für deinen Besuch auf meiner Seite und für dein Lob..
Es macht so viel Freude, immer wieder Menschen kennenzulernen, die ebenfalls mit dem Skizzenbuch unterwegs sind. Eine Skizze ist so viel mehr als eine Fotografie. Denn sie zeigt auch immer etwas von dem Menschen, der sie zeichnet – von seinen Intentionen, seinen Gefühlen, seiner Sicht auf die Welt und die Dinge auf ihr. Thanks so much, our friend. You also have a wonderful site. Congrats!!! Where is this drawing located? and do you have a source of it? 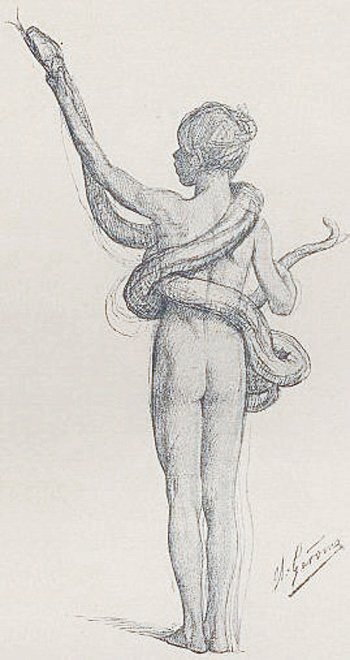 I’m currently preparing for my exam, where I have studied Gérôme’s finished work, ‘The Snake Charmer and His Audience’ – So it would be very interesting to look into this drawing as well. Hello Anna, I’m sorry, I don’t remember that. Thanks so much for your comment! The idea of creating this blog to show your drawings and sketches is fantastic! I’m so glad I stumbled upon this great website! Thank you dear! You’re so welcome !